In the inevitable nasty game of "pass-the-parcel" after Fine Gael's 2016 big election fall, a huge dollop of blame was with some justification allotted to Enda Kenny. 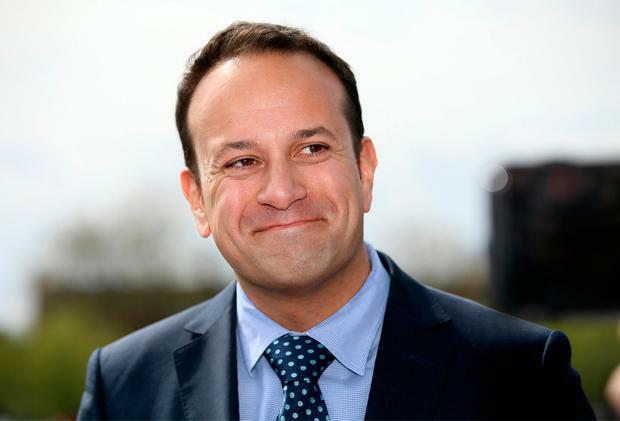 But there are others who got off rather lightly - not least the two luminaries, Leo Varadkar and Simon Coveney - now deemed the frontrunners to succeed Mr Kenny. This is among the factors which could play in to what will be a very keenly fought battle for the party leadership which carries the additional prize of the most senior job available in all of Irish politics. It will be a very presidential-style head-to-head battle. The party chairman, Martin Heydon, and some key headquarters officials have amassed a big stock of "yellow cards" to prevent campaign tactics that damage the Fine Gael image as a responsible party. But they may need a lot more firepower than they can muster to keep this upcoming leadership contest between the ditches. Usually, when elections go "presidential", they turn into a bare-knuckle, ugly battle. Mr Kenny very probably did not frame the ill-fated "Let's Keep The Recovery Going" slogan and other key strategies. But he did sign off on it, and he did back the wrong-headed "keep your nerve - don't change response" which delayed change when it patently was not working. The Taoiseach also made his own share of unforced presentation errors. Often it was very clear he had not done his homework on policy and how to explain it in simple terms. It is fair to argue that his "Castlebar whingers" comment just six days from polling could have shifted a critical mass of votes in the main population centre away from his party colleague, Michelle Mulherin. But it is less often commented upon that then-Health Minister, Mr Varadkar, chaired a committee tasked with communications. A committee on policy issues was chaired by then-Agriculture Minister, Mr Coveney. What do you need most in framing a successful election bid? Surely, good policy ideas to enthuse voters. And again, an effective communications' strategy to sell such policies to potential voters. The party commissioned two separate reports into how they failed and got their worst result since Michael Noonan's 2002 electoral meltdown. In February 2016, Fine Gael dropped to 50 TDs compared with 76 five years earlier. We cannot entirely rule out a third, or even a fourth, candidate fielding even at this late stage. But it is very unlikely that somebody who can threaten these two frontrunners will emerge. Last time they elected a leader, a very traumatised Fine Gael parliamentary party had the pick of four from whom they chose Enda Kenny. That was in June 2002 when the party was seeking its political black box amidst the electoral rubble. Things are slightly different now with party members entitled to 25pc of the vote and councillors 10pc. In real terms, that still means the 73 parliamentary party members - 50 TDs, 19 senators four MEPs - and have the power of decision. Every vote will be keenly fought over.